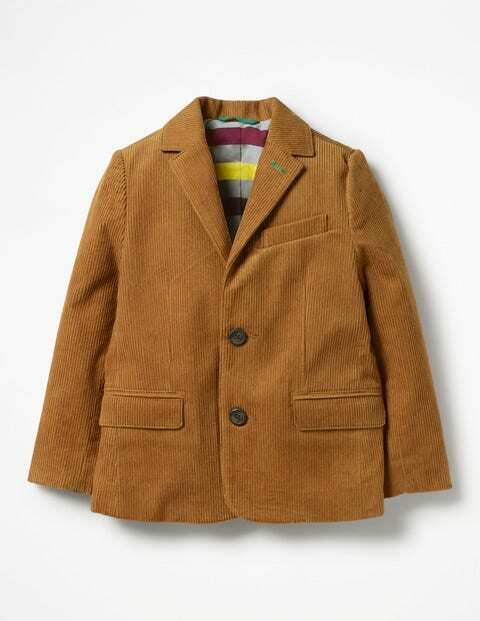 Best behaviour just got fun thanks to this chunky blazer. It's smart with shirts, casual with tees and it makes the perfect scientist disguise (just add safety goggles). The secret internal pocket is ideal for storing intriguing finds and it's lined with a foxy print. Go all out and wear this with the matching trousers for super-duper cool.